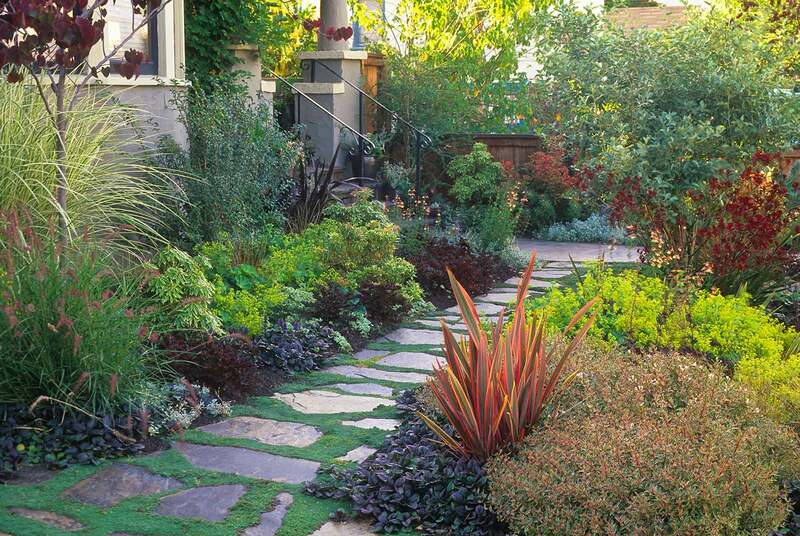 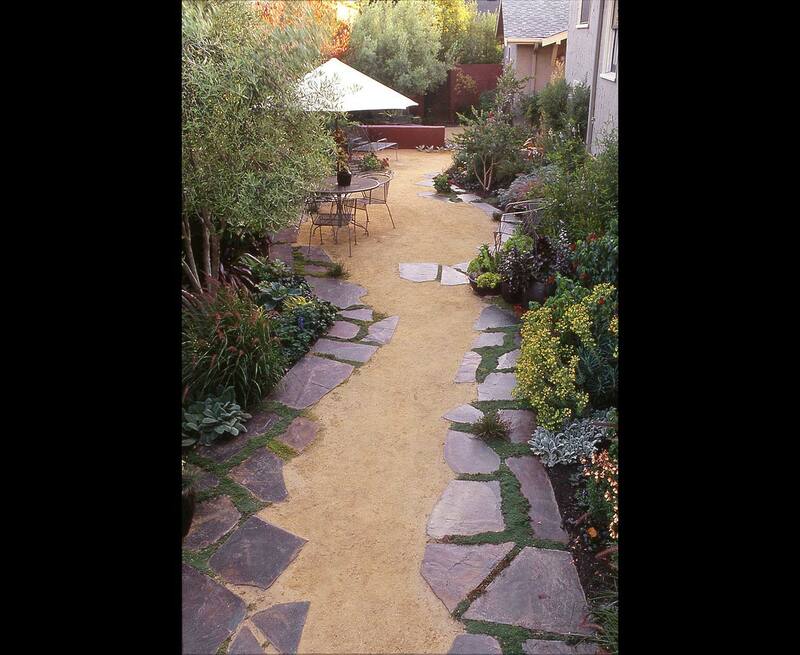 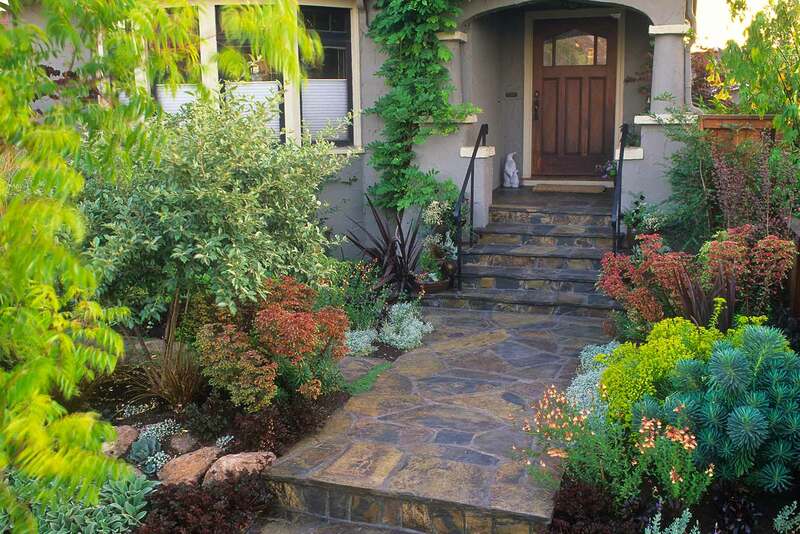 A former driveway becomes a meandering side garden. 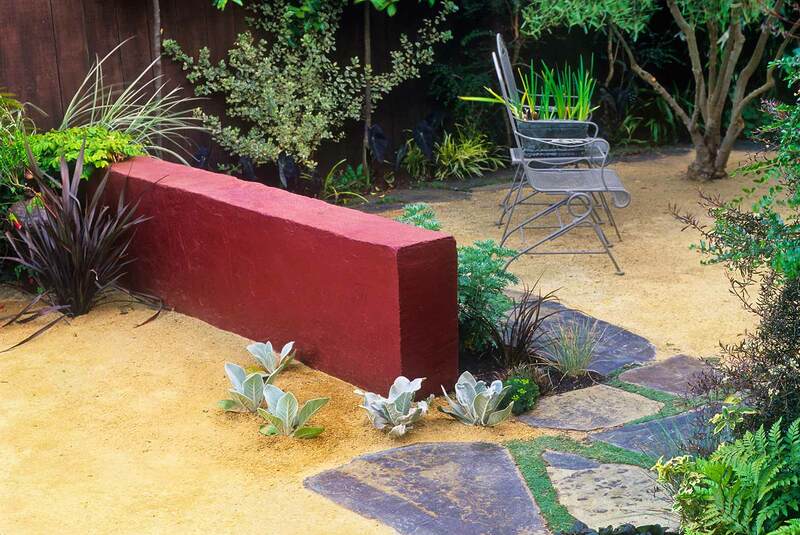 The curving walkway of decomposed granite forms accommodating patio seating areas as the low, red seat-wall contrasts gray-leafed plantings—echoing the warm and cool hues in the Mariposa slate borders and the stucco wall at the far end. 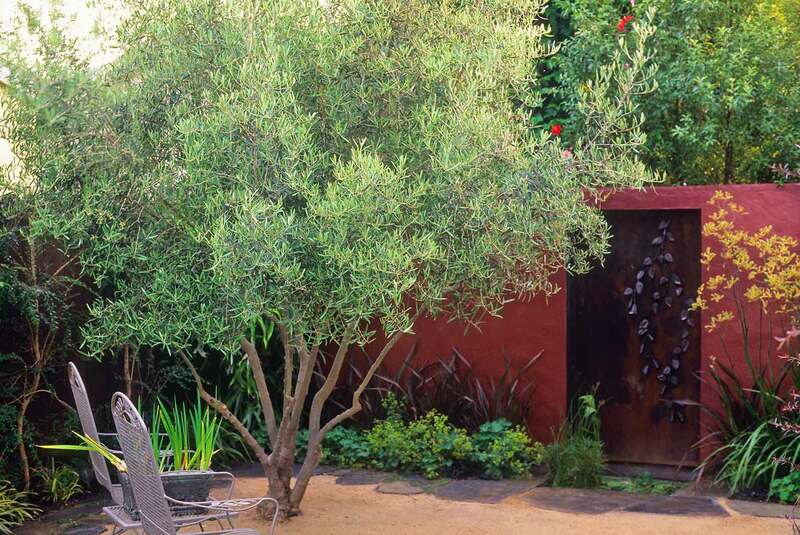 A large, rectangular, copper fountain draws the visitor inward; delicate fabricated copper leaf details mirror the foliage of surrounding Passiflora vines.